Metalsubs robust battery tanks are available with two types of fastening systems and different amperes to complement the cable lamp set as desired. 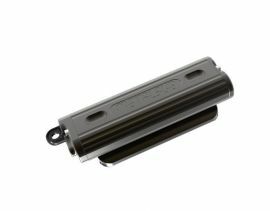 The battery tanks are made of a very high quality aluminum and Teflon coating. The minimalist 'less is more' design makes it possible to connect both the cable light and the lamp via a single connection. With a quarter turn the coupling can be connected or removed within a few seconds. 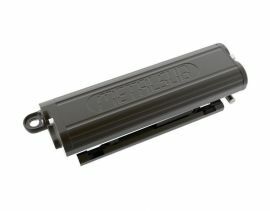 The three sizes of battery tanks deliver 4 Ah, 10 Ah or 13 Ah power and are available as FX or PR with a fixed fastening system or Quick Release System, respectively. The latter system ensures a very compact, streamlined, strong coupling between the battery tank and the diving bottle, which can be attached or removed at the touch of a button.